This past November I moved into a two story townhouse with a patio and backyard. A first for me. 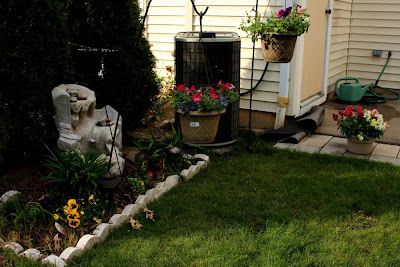 So, this afternoon, in the near 90 degree heat, I spent my first afternoon gardening after picking out some flower baskets and some other plants for the backyard. 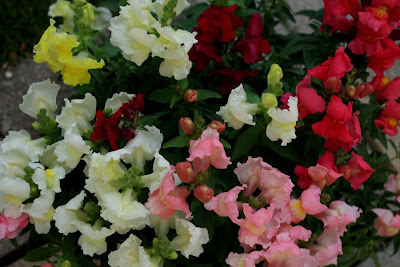 I picked out colorful snapdragons, petunias, lobelia, nemesia and geraniums. I also planted some some cinnamon and sweet basil. My plan is to add some tomatoes, a zucchini plant and peppers in mid-May once the risk of frosts is finally gone. This entry was posted on Saturday, April 25th, 2009 at 5:56 PM. It is filed under Nature & Animals and tagged with Flowers, Gardening, snapdragons. You can follow any responses to this entry through the RSS 2.0 feed.